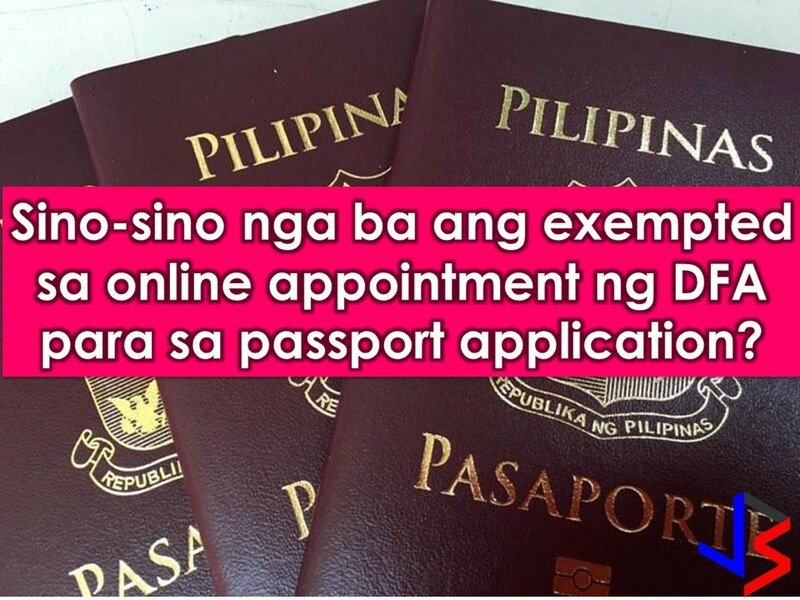 THOUGHTSKOTO Thoughtskoto : Who Are Exempted From DFA's Online Appointment for Passport Application? Hundreds or even thousands of Filipinos want to have a passport. But getting an online appointment is one of the hardest parts because of limited slots and when you got one, you need to wait for up to three months for your schedule for personal appearance and passport processing in Department of Foreign Affairs (DFA) or its consular offices nationwide. But if you belong to the following categories, getting an online appointment is no longer needed, instead, you can directly go to DFA as a walk-in applicant and avail of their express lane. But who are lucky 6 who can avail priority lane at the DFA? 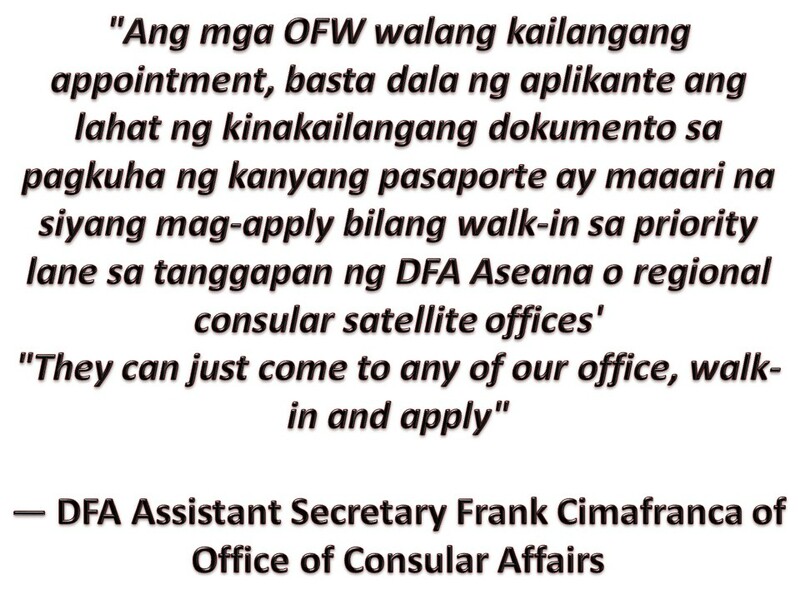 The DFA is processing around 12,000-15,000 passport every day and according to DFA Assistant Secretary Frank Cimafranca of Office of Consular Affairs, they are also looking for possibilities to hasten passport processing of those who are looking for work abroad. He said DFA is trying to accommodate them by creating a portal that can be used by a recruitment agency. All they have to do, he said, is to go through the special portal for fast passport processing. Cimafranca added this innovation will be launch this month.